I’m back! So sorry for the brief hiatus! I have been cooking up a storm and am ready to share some healthy, seasonal, and delicious recipes with all of you! 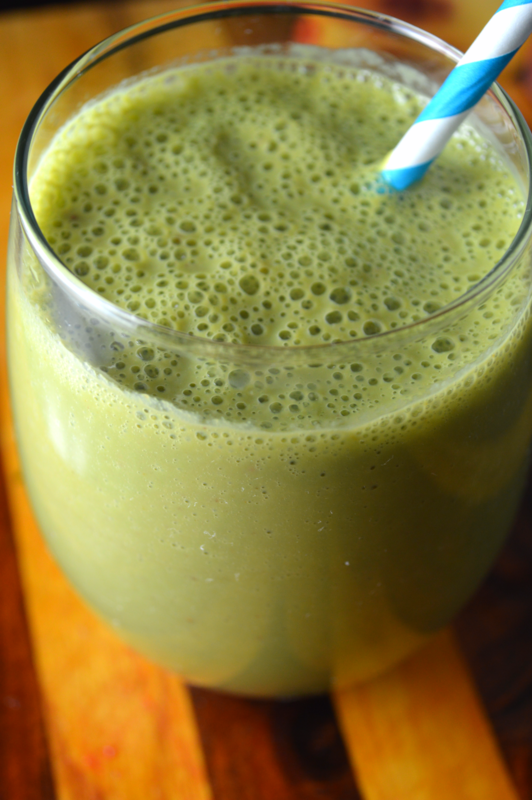 Let’s start the new year of recipes off right with my all time favorite smoothie. Its simple, can be blended up quickly, and tastes like a dessert. This smoothie is the reason why I buy bananas every single time I make a trip to the grocery store. I like to let the bananas ripen, sometimes really over ripen, before I peel them and pop them in the freezer. Frozen bananas have a soft serve ice cream consistency when they are blended which I absolutely love. Along with the oats and greens, this smoothie leaves me feeling nourished and keeps me full for hours. Place all ingredients in a Vitamix or blender. Thanks! It’s such an easy, delicious, and filling breakfast.